I was invited to a media tasting at the new Australian-influenced modern Thai spot Sway, at South First and Elizabeth Streets. I have lived in the Bouldin Creek neighborhood for a number of years, and as long as I can remember, the spot Sway took over has been an abandoned, gray, cinder block building. It is exciting to see new life in the neighborhood, and when you see Sway from the inside, it's hard to imagine why and how it sat dormant for so long. The building was redesigned by award-winning local architect Michael Hsu, who is responsible for quite a number of eateries in town, including Sway's sister restaurant downtown, La Condesa. The interior of Sway is spacious and open, with a somewhat hidden outdoor patio as well. You also get great views of the kitchen staff at work, and counter seating is available to watch your food being made. By and large, it is communal tables that can seat up to twelve. They don't take reservations, unless you're a group of ten or more. We started off with some drinks, and Sway has quite a range, from sake to kombucha to tea. I was not familiar with "drinking vinegars" and our server explained while they are not uniquely Thai, they are found throughout southeast Asia. Sway serves the brand Pok Pok Som, and I had the tamarind, which is mixed with Topo Chico (sparkling mineral water). Nice and refreshing, and I would have loved a little more tartness in mine! The tasting began with the Prawn Miange -- betel leaf, shrimp, toasted coconut and cashews, lime, fresno chili, grapefruit, and dried shrimp. I occasionally see betel leaves in Asian groceries in town, and these are being brought in from Thailand. You just pick the whole leaf up, and pop the whole thing in your mouth for a great medley of flavors and textures. Raw oysters were next, served with a wonderful sauce they call nahm jim and crispy shallots. Not sure specifically where the oysters were from (we were told east coast), but they went down easy with a light brininess. I loved the sauce, and asked what was in it; they were nice enough to print me the ingredients, and they make two versions, a red and green. I will assume this was the red nahm jim, which consists of Thai red and fresno chiles, garlic, cilantro, lime juice, palm sugar and fish sauce. SO GOOD! Som tam, or green papaya salad with Thai red chile, cucumbers, green beans, and tamarind. I liked the flavor and texture of this salad -- spicy, a bit twangy, but still light and refreshing. The next was Pad Thai Jay, which is much sweeter than a normal pad thai. The jay is also vegetarian, while the regular has shrimp. Not sure exactly what contributes the sweetness to this dish, but the more bites I took, the more I realized just how sweet is was. Staff at the tasting said it is something they have been made aware of by their customer base, but as of yet don't have plans to change it. Of all the dishes we sampled, this is really the only one I wouldn't order again. Now the Kai Yaang, or charcoal rotisserie chicken, was fabulous! It was marinated in the delicious nahm jim sauce before cooking. The result was a tender, moist, and very flavorful chicken. The darkened skin was rendered nicely, and extremely hard to resist. The Salt and Pepper Tofu used silken tofu, and had a nice sweet chile sauce. Thought the blocks of tofu could have been a touch crispier. Finally, the Jungle Curry -- Texas Wagyu beef, red chile, eggplant, kaffir lime leaves, baby corn, green peppercorns, and coconut cream on top. The beef was fork-tender, and while the curry had some heat, you could temper it with the coconut cream. Not pictured are the jasmine and sticky rices that accompanied these dishes, and were great for soaking up some of the curry sauce. This and the chicken were my two favorites of the meal, and I can't wait to try them again! For dessert, we had Jasmine Tea Panna Cotta. It had an extremely subtle jasmine flavor, accompanied by red grapes and lychees, holy basil caviar dots, crunchy amaranth, and coconut-lychee sorbet. Look at the bowl, it's a beautiful presentation! The sorbet and crunchy amaranth bits (something new to me!) really shined. If you look at all the pictures, you'll notice that each one is topped with at least one thing for flavor and particularly texture, whether it's dried shrimp or shallots, toasted coconut or crunchy amaranth. All the plates are presented well with these little touches, and the flavors are bold and exciting. This is not your standard Thai fare, and that's a good thing, just as Sway is a great new thing in the neighborhood. It all looks scrumptious and I especially am drooling over those oysters. And of course, you know I would want the panna cotta too. 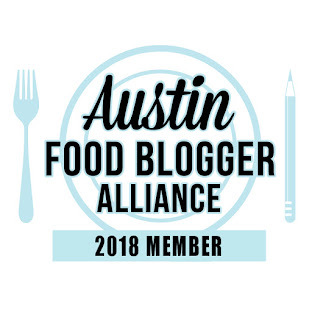 Click for more Austin food bloggers! 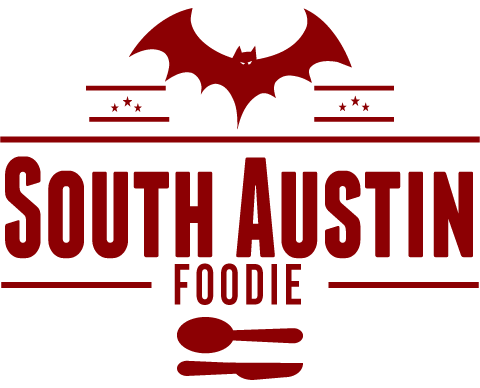 © South Austin Foodie, 2008 - 2018. Powered by Blogger.